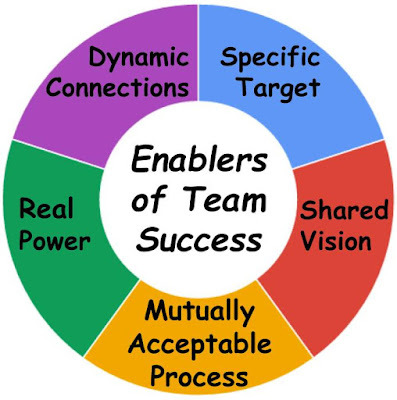 Effective teams share a clear, specific target. They know exactly what they are trying to create. They are clear on the requirements and the specifications that will make their finished product succeed. To be sure, as the project progresses and they learn more, the team might morph the target through several iterations. But at any point in time everybody on the team is clear about the target they’re aiming at. Such clear boundaries make it easy for each of the specialists on the team to find his or her unique path and proceed quickly without fear of wasting time. 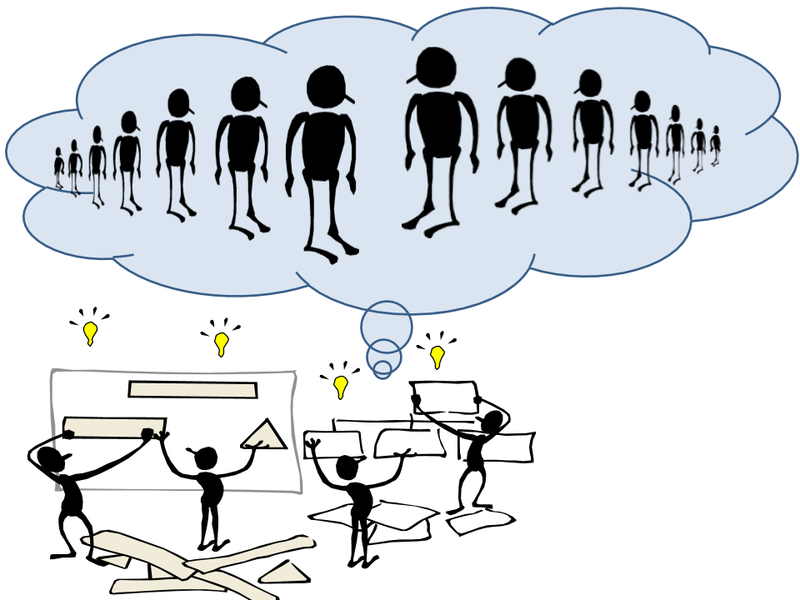 Effective teams share a clear vision about the value of their project. They know how it’s contributing to the overall mission and success of the organization. Typically, they feel a sense of urgency (“They’re counting on us!”) that keeps them engaged when they encounter obstacles and helps them to persevere. Team members may even feel that their unique contributions bring greater meaning and purpose to their work lives. This sense of purpose based on a shared vision keeps everyone motivated to do their best. Effective teams agree on a work process that is acceptable to all team players… one that ensures quality results they can each be proud of. This sounds simple, but achieving such a work process can be complicated and require some negotiating. Here’s why. The “best practices” of any profession establish ground rules for its practitioners. They provide checks and balances that ensure finished products which meet the quality standards of their particular community of practice. Some examples: If you’re shooting a motion picture, your work process will always include the development of a script before shooting. Or if you’re building a house, you’ll always create a blueprint before construction begins. And every software development project requires a design review before coding begins and a testing phase afterwards. These kinds of industry-specific best practices are all about quality control. They ensure good results and reflect the deeply held values of those who practice the profession. Now here’s the challenge. Because most projects include people from several different professional disciplines, the team has to figure out how to weld together the work process requirements of all these professionals into a collection of phases and activities that form a cohesive whole. And this can’t be imposed from the outside! So successful teams sit down at the beginning of their project and collaborate to come up with a mutually acceptable work process that represents everyone’s professional values. 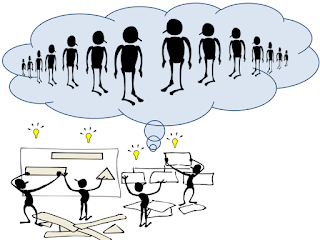 Effective teams have powerful, real-time connections that allow them to change course quickly for problem-solving and ping-pong spontaneously for on-the-fly brainstorming and creative leaps. As Ken Blanchard, author of The One Minute Manager says, “None of us is smarter than all of us!” And there can be no “all of us” without dynamic connections. What teams need are communication methods and tools that keep info flowing, unimpeded among a) individual team members, as they hand stuff off to each other, b) experts reviewers/SMEs/inspectors of deliverables, and c) sign-off people who approve completion of stages, deliverables, etc. Such methods and tools could be anything from a giant, centrally-located whiteboard or wall of yellow stickies to a team “war room” and culture that supports stand-up meetings to a team Twitter feed to a more formal project tracking app or website, formal status meetings & reports, etc, etc. The bottom line: When someone on the team has an idea worth bouncing around or identifies an emergency that needs an immediate response, they should be able to move it along immediately via the team’s dynamic connective tools. So… what tools or methods does your team have available for this purpose? 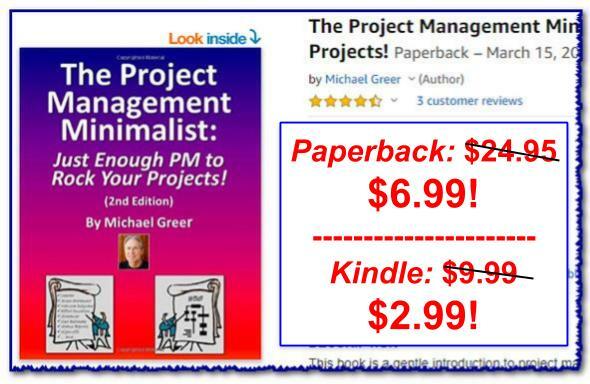 Your team’s raw talent, energy and creativity aren’t enough to ensure project success. To get the most from their efforts with the least frustration and wasted time, you need a solid framework within which they can achieve their best. 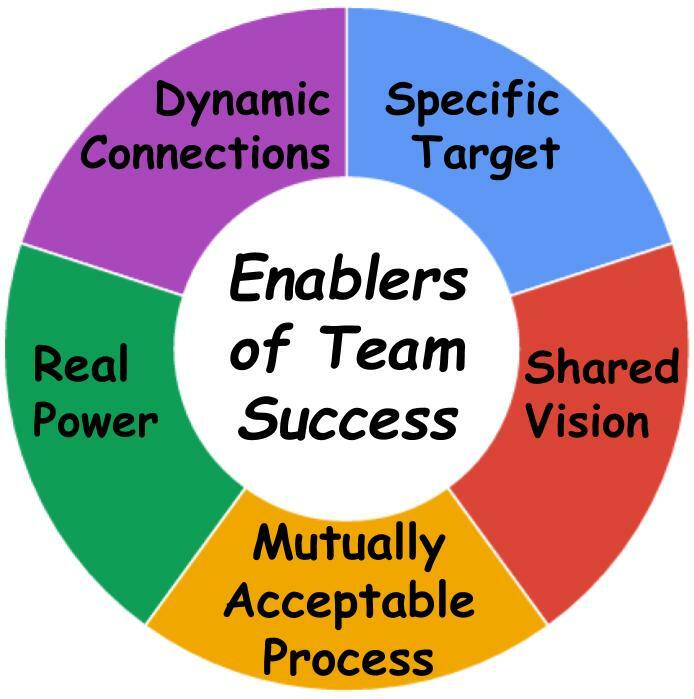 These five enablers — a specific target, a shared vision, a mutually acceptable process, real team empowerment and dynamic connections — provide the platform that will transform a bunch of great people into a great project team!